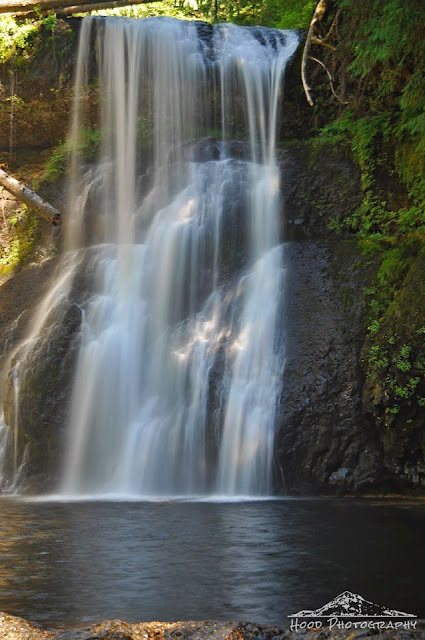 This is Upper North Falls, located in the Silver Falls State Park. I took the short walk to the falls on Saturday with my toddler son and some friends. There was not a cloud in the sky and the temperatures were in the high 80's that day, so feeling the mist from the waterfall while we stood on the bank and took in it's beauty was very welcome. I can almost hear the sound of the waterfall. Thanks for posting such an interesting site. beautiful, misty fall of water in this delightful landscape. Absolutely gorgeous! I haven't been getting to make my blog rounds in a while and boy I sure have been missing out.